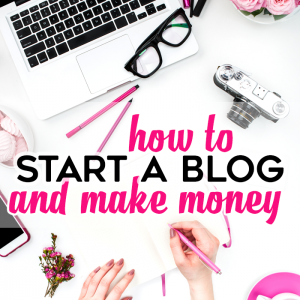 I’m so thrilled to be to be back at Love and Marriage blog! Last time I made these super simple nautical coasters for the house. This time I wanted to make a Easter bunny craft for the kids. So I thought Thread Spool Bunnies would be perfect. Easter is just right around the corner!! 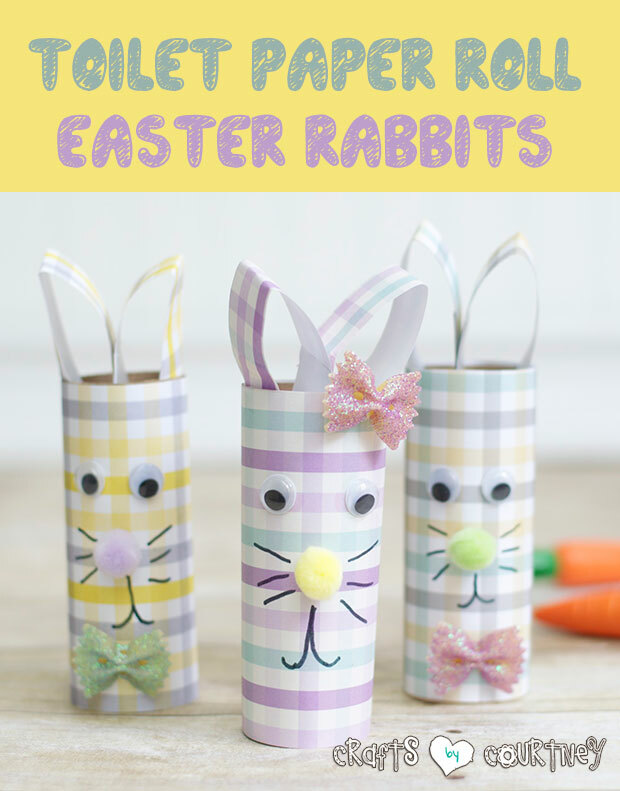 Which I’m super excited about, I can’t wait to start getting all my Easter crafts together for the kids and home!! 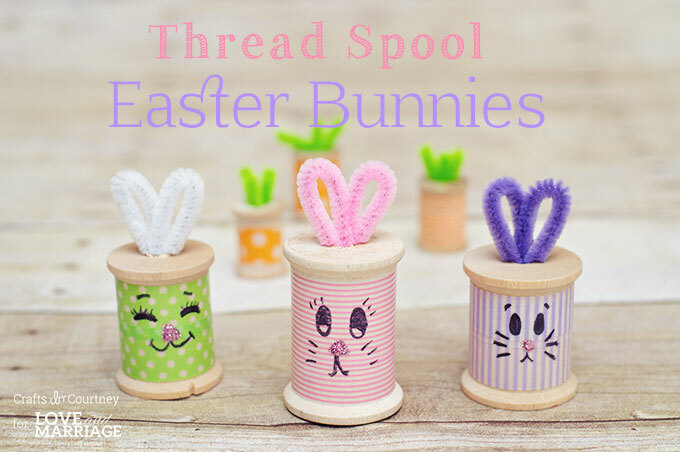 Last year I made thread spool carrots for Easter and they turned out super cute. So I wanted to make some bunnies to go with them. 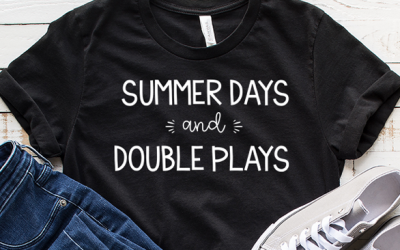 Plus it’s still cold here in NC and we need to get in a Spring state of mind around here. I have a TON of wooden thread spools. I got a huge bag for $5.00 with all different sizes. But they also sell them at any craft store. I was also able to pull out some of my Spring-y colored washi tape. The kids always enjoy crafting with it. I gathered the rest of my supplies together to get started!! We we’re ready to make our bunnies!! 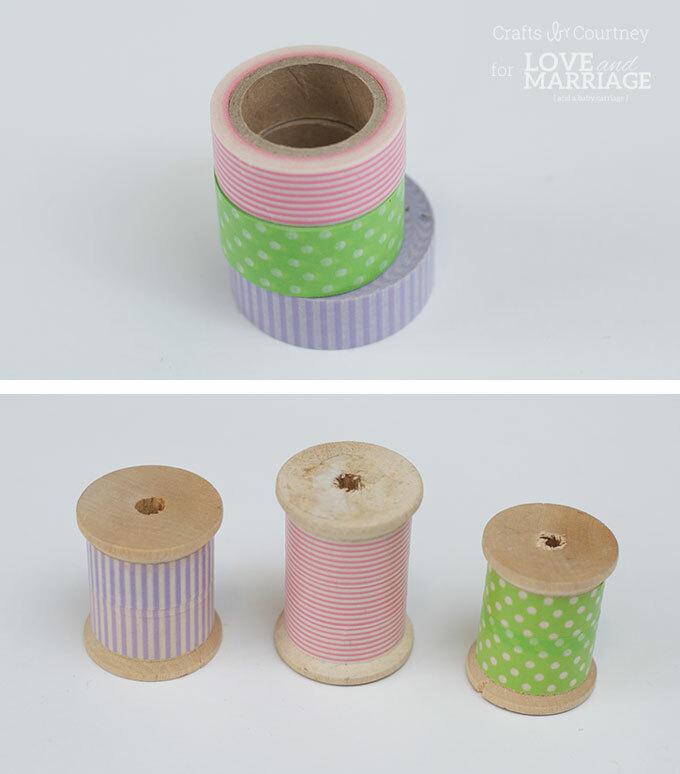 Gently wrapped your washi tape around your thread spools. If it’s a larger thread spool you’re gonna need two rows, maybe three. Now the fun part! Add the cute bunny face. Here are a couple ideas, but it’s fun seeing what the kids come up with. We used a black sharpie for the eyes, nose and whiskers. I wanted a little something extra, so we decided to make a glitter nose! Aww, I just love those little ears! Cut two pieces of pipe cleaner and bend them over. Then gently place them in the hole on top of the thread spool. Super easy right??!! And super cute! Now it’s time to finish off the bunny with an adorable pom pom tail. 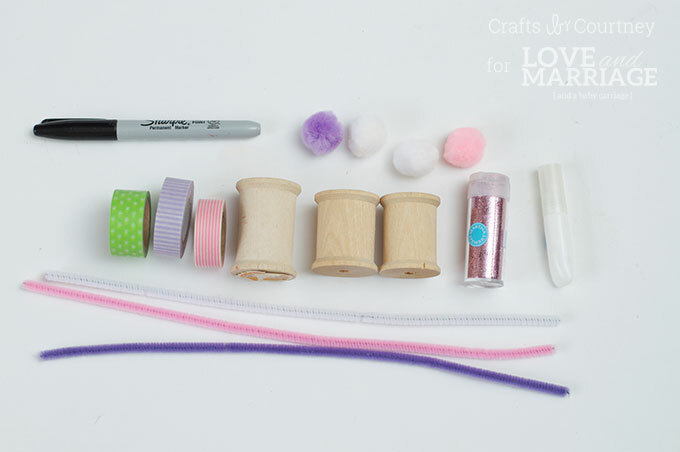 Just add a little glue to the the back of the pom pom and firmly place it on the thread spool. If your in a hurry you can use hot glue as well. Now your ready to display these cuties!! 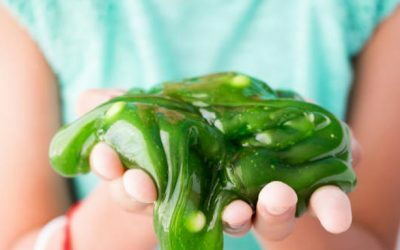 See they were super easy to make, my favorite kinda craft to do with the kids. Gotta love those little bunny tails! 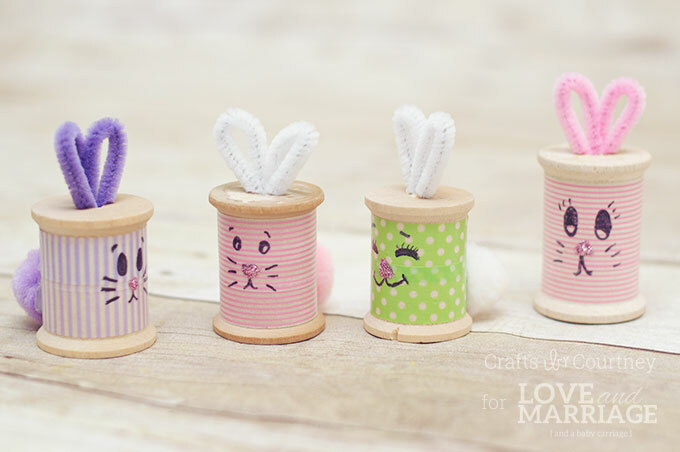 I’m so happy with how these bunnies turned out, now I wanna make another thread spool craft. I think I just got another idea, make sure to stay tuned! Here are some crafts I did with the kids last year! 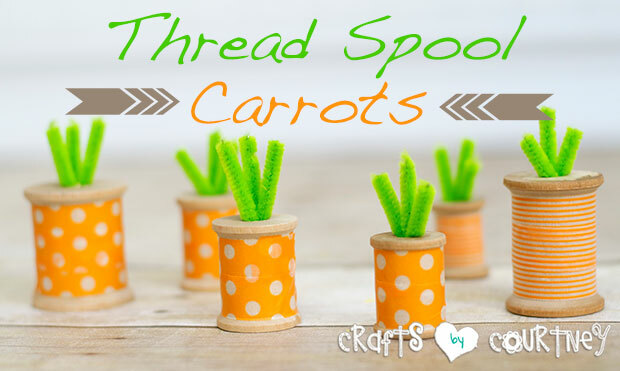 looking for another thread spool idea, check out these thread spool carrots I made last year with the kids! We had a great time making these TP Easter rabbits. I loved using the scrapbook paper on them! Thanks for stopping by!! As always I hope you found some great inspiration. Have a wonderful and blessed Easter. I hope you loved this craft. If you’d like to get more craft project ideas and inspiration, be sure to sign up for my newsletter! Get my best ideas, right to your inbox. 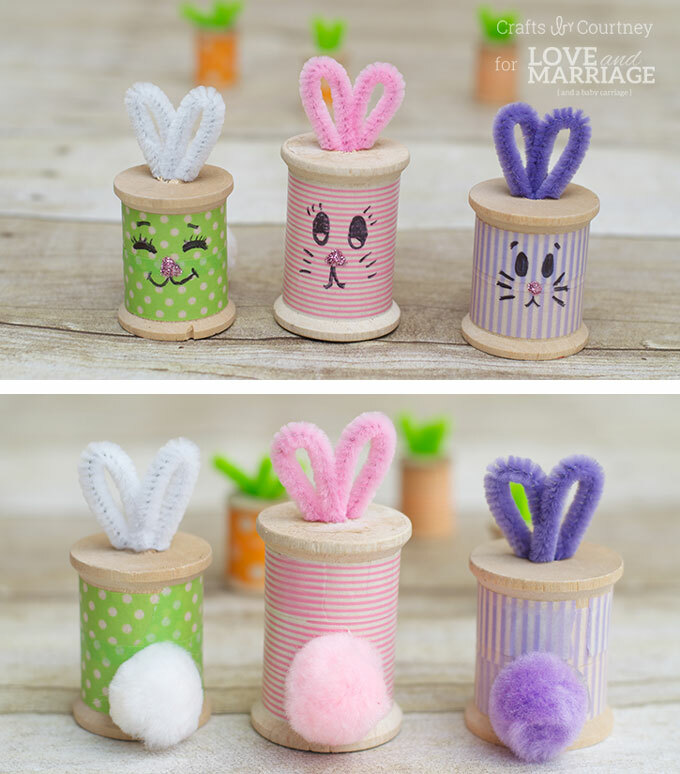 Have you made any crafts using thread spools? Hi, I’m Courtney! I am a mommy to 3 great boys and wife to a LOVING husband. 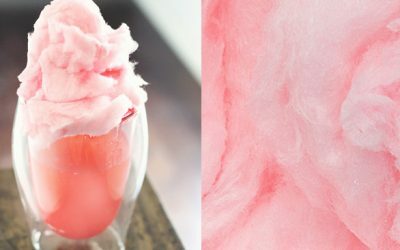 Crafts by Courtney is where I make easy-to follow craft tutorials and post all the do-it-yourself parties I’ve made! Those are adorable! 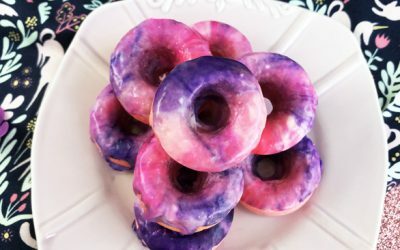 I think my 8 year old would love making those! 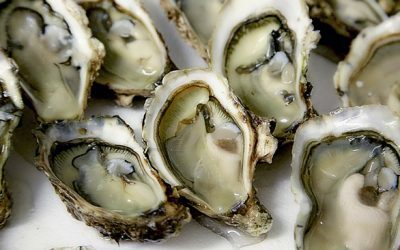 I’m adding these to my TO DO LIST with my girls right now! They love washi tape – so this is a perfect craft. Thx for linking it up at the Thoughtful Spot! 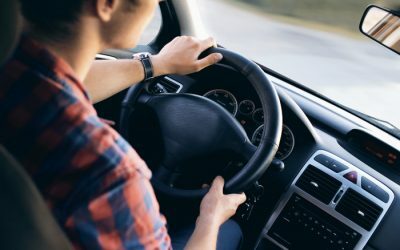 article I looked at. 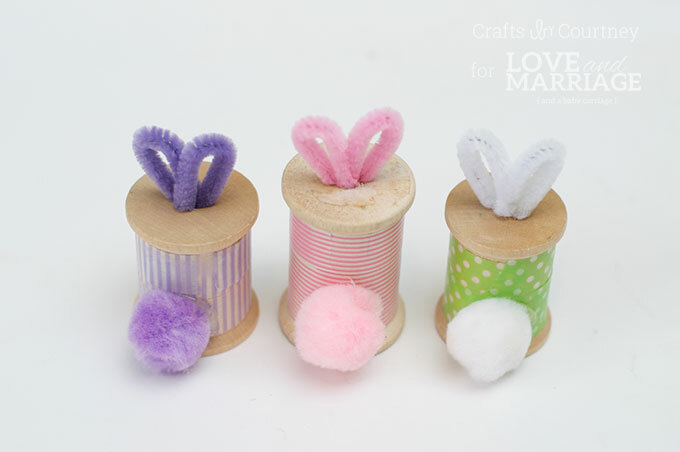 And after this post Easter Bunny Craft: Thread Spool Bunnies. appear like a few of the responses come across like coming from brain dead people? damaged car dealership is likely to lower out a whole lot of problems.